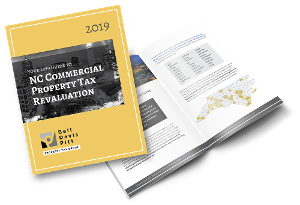 I detailed previously the property tax appeal process in North Carolina from local Boards of Equalization and Review to the North Carolina Property Tax Commission. In that post, I noted that even though a request for informal review is not required to preserve the right to appeal formally, I typically advise clients to make the request anyway. It is important to know, however, that it does not make good sense to put substantial resources into the Request for Informal Review, because the tax office is probably not going to take a substantive look at the proposed assessment at this stage. Instead, the review will focus on the raw, objective property data in the taxing jurisdiction's valuation system. Did someone make an error in the square footage of a building? Was the zoning/land-use coded incorrectly? Was a typographical error made in issuing the Notice of Assessment? Those are the types of issues that might be corrected through a Request for Informal Review. Why Make the Informal Property Tax Appeal? So, why do I recommend making the request in most cases? There is some value in asking the taxing authority to double check its process, and it gives the appellant an opportunity to do the same. Given the limited upside, it doesn't make sense to put substantial resources into this step of the process, but it does make sense to pull the tax records from the taxing jurisdictions records and study them for obvious and objective errors. If you find any, you may be able to get them corrected at the earliest stages in the process so that the focus in the formal appeal can be on what really matters: the right valuation method and a sound value. Image from uploaded to pixabay.com by user Alexas_Fotos. Available for use under CC0 Public Domain. With 2017 being a revaluation year for Davie County, property owners are beginning to receive revaluation notices. With 2017 being a revaluation year for Cumberland County, which includes the city of Fayetteville, property owners are beginning to receive revaluation notices. In a prior post, I wrote about the IBM property tax cases, which went from the Property Tax Commission to the Court of Appeals on three different occasions before being finally resolved. The IBM cases are significant because (1) they articulate a clear burden-shifting analysis the Commission must follow in determining value; and (2) they require the Commission to explain in detail its rationale for its decision.